Texas Tech University alumnus Abner Euresti will serve as speaker for December commencement exercises Dec. 15-16 at United Supermarkets Arena. "To say I am honored to be the speaker at Texas Tech's commencement is an understatement," Euresti said. "I think I accepted before Dr. Schovanec was even through asking me." Euresti earned his bachelor's degree in telecommunications in 1974, at a time when the enrollment number of Hispanic students hovered around two percent. Texas Tech met the enrollment criteria to be a Hispanic Serving Institution in 2017, because 27.8 percent of the university's undergraduate student body is Hispanic. "I am the second of seven children, so we didn't have a lot of money growing up," Euresti said. "I never thought I'd go to Texas Tech. I knew it was here, but it could easily have been a world away, because it was never going to be a part of my future." That future began to change when a Lubbock High School teacher encouraged Euresti to fill out a scholarship application. It evolved further, when a Texas Tech professor drove him to his a job interview at KCBD. "I am one of only a handful of people in the country who went from college to their first job and have been fortunate enough to stay there their whole career," Euresti said. 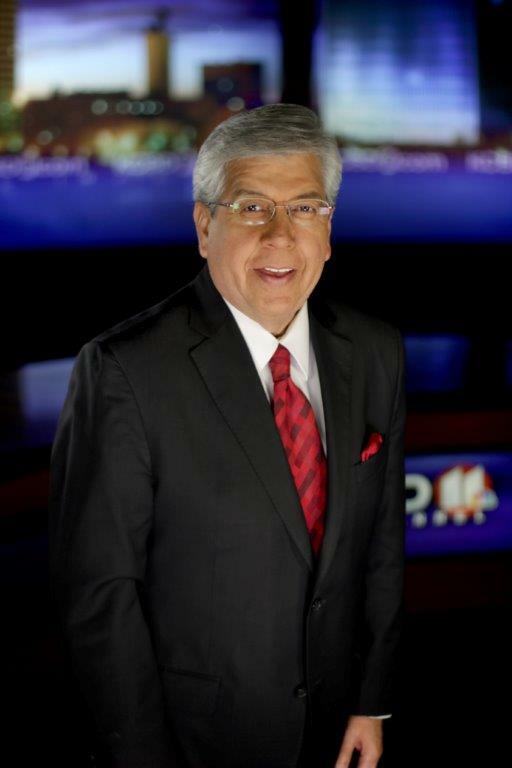 In his 43 years on Lubbock's airwaves, Euresti has received countless awards for excellence in reporting. He also is an advocate for education, spending a great deal of time speaking to area youth, particularly for programs that target at-risk students. "We are honored to welcome one of Lubbock's most respected public figures to address our graduates," said Lawrence Schovanec, Texas Tech president. "Abner is a wonderful example of determination and unwavering professionalism. As a Texas Tech graduate, he has represented his alma mater with the utmost integrity in his work and his service to the community."